Sand Springs, Okla., Lodge No. 2553 used its Gratitude Grant to help a local therapeutic riding center. Here, Matthew, a child with disabilities, is learning to ride thanks to the Lodge’s donation. 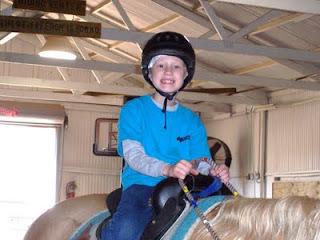 Elks keep in touch with the center, which reports that Matthew’s horsemanship and confidence have improved greatly since he began a few months ago.